Trash it, change it, mail - upgrade it; Charge it, point it, zoom it, press it; Snap it, work it, quick - erase it...If you've never heard those lines sung in a bizarre mechanical staccato, you may not be a millennial. The song goes on (and on and on) in the same unrelenting monotone, with the word "it" repeated 399 times. Created and performed by the French group Daft Punk in 2005, it quickly got recirculated in a 2005 commercial for the Apple iPod and has popped up in several other venues since. If you're a community banker and aren't familiar with the song, you may still identify with the feeling it imparts. Personal technology has an all-encompassing and demanding aura about it that is hard to escape, which is a lot like the mobile banking trend. Bankers are being told that, in order to stay current and attract millennials, they must offer mobile versions of more and more services: bill payment, statement view, fund transfer, balance check, ATM location, check deposit. Big banks are all rushing into the fray, and community bankers are doing their best to keep up. Some community bankers are drawing the line at mobile deposit, a service that tends to be somewhat more technologically difficult to get right, since it requires the ability to effectively handle the transmission of a photo of a check taken on a mobile device. Mobile deposit presents its own problems, but it has spread quickly and is exactly the kind of service that millennials demand. 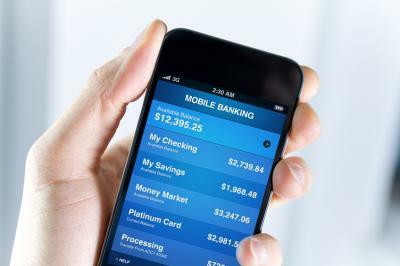 Consider a survey by the Dallas Fed that found fewer than 50% of banks offer mobile deposit. This compares to bigger banks at closer to 100%. Also of note, about 70% to 80% of all banks offer bill payment, ATM locator, statement view, funds transfer and balance check. Although there have been some problems reported with mobile deposit apps, the service appears to be very popular with those who use it. An ABA study found that about 1 in 8 Americans has tried mobile deposit, and 80% use it at least 1x per month. So who are these mobile deposit users? Not surprisingly, the biggest are millennials. A recent Salesforce Research report finds about 25% of millennials are now completely reliant on mobile deposit, and another 25% are mostly reliant. In effect, about 50% of millennials are already hooked. By comparison, 20% of Gen Xers and only 13% of Baby Boomers are completely reliant. Meanwhile, a Celent survey finds consumer remote deposit capture adoption has reached almost 90mm users this year, of which about 87mm do so using mobile devices. For those keeping score mobile is just over 97% of total activity. Finally, consider a recent Fed survey that finds the most common mobile banking activities are: checking an account balance or recent transaction (94%), downloaded a bank mobile banking app on a smartphone (71%), transferred money between bank accounts (61%), received an alert from the bank (57%), deposited a check electronically using the mobile phone camera (51%) and made a bill payment using the bank's online banking website or banking app (48%). No matter what your features or benefits, mobile banking allows you to extend your network as you attract younger customers (who increasingly expect a bank to provide such services). Keep enhancing your technology offerings as you move forward with a focus on rocking the world of your customers. Yields climbed 1bp, as investors repositioned after the release of FOMC minutes showed several members pushed for higher rates relatively soon. 1) Enterprise Bank & Trust ($3.7B, MO) will acquire Eagle Bank and Trust Co of Missouri ($928mm, MO) for about $130.6mm in cash (20%) and stock (80%). A federal appeals court ruled the CFPB is unconstitutionally structured because its director isn't sufficiently answerable to the president. The court allowed the CFPB to continue to operate but ordered it to be restructured to operate as an executive agency akin to other executive agencies headed by a single person (like the Department of Justice and the Department of the Treasury). FDIC research finds about 92% of US households have access to a checking or savings account. Fool.com reports the average college graduate this year will have $37,112 in student debt, a 6% increase compared to last year. A report by Bank of America Merrill Lynch finds the average American household is about 45% exposed to equities, which is roughly 50% higher than the 60Y average of 30%. Of note, the exposure has been running above average since 1988, as investors have chased yield and moved away from individual stock ownership to more systemized ownership through ETFs and other vehicles. The IMF reports debt held by governments, non-financial firms and households jumped to a record $152T at the end of 2015 and now sits at 225% of the world's GDP. Public debt alone has soared to 85% of GDP. This is concerning, as slow economic growth means it could be difficult for countries worldwide to pay off this debt load. Research by the Bank for International Settlements finds global foreign exchange trading per day averages about $5.1T.